Friday is here, and this guest art is by Midnight Arsenic! 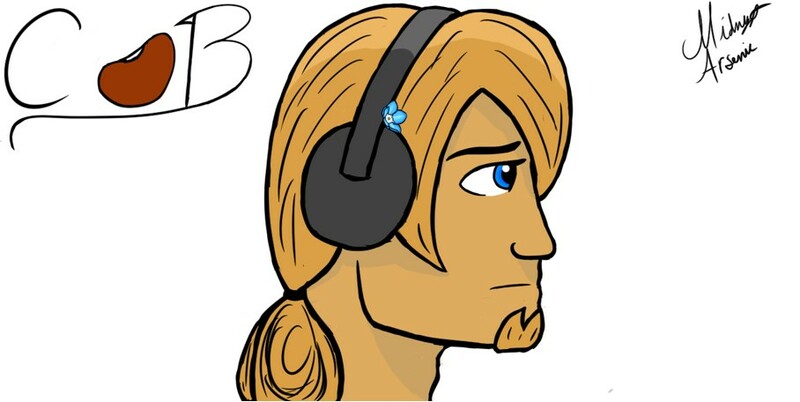 Love the little Forget-Me-Not on Dude’s headphones. Guest Art Week is when readers and fans can make Cans of Beans-related fanart & fanfics, and I’ll post them up while my comic is on hiatus! To learn more and how to submit your own guest art, click here! The last day to submit Guest Art is May 28th, this coming Sunday.